This week brings my first meeting of the Natural Capital Committee, to which I was recently appointed. This is the Committee’s second phase (set for five years), its first running from 2012-2015. 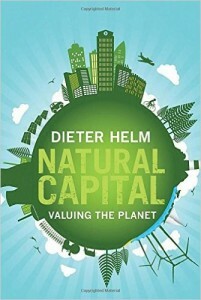 As part of my homework, this weekend I re-read chair Dieter Helm’s book Natural Capital: Valuing the Planet. The book presents the case for re-investing in natural capital in order to enable sustainable growth – it argues against the ‘no growth’ environmentalists. The mechanism it proposes is an aggregate natural capital rule: “The aggregate level of natural capital should not decline.” If there is damage done in one place, it has to be made good by compensating gains elsewhere. The rule can be applied to renewables, and can be extended to non-renewables by requiring a natural capital fund to compensate for extraction (much as the Norwegians do for their oil and gas extraction). This is a radical change when you start to look at the amount of money that might be involved. The book suggests it is of the order of at least 4% of current GDP. And of course the details are extremely complicated. To state just two hurdles: we do not have good statistics on natural capital, although the Office for National Statistics does have a programme of work on this; and it is hard to value non-marketed assets and transactions, especially when there are substantial externalities, non-linearities and system interdependencies. Cost-benefit analysis – the only tool economics has to offer – applies to marginal (linear) changes and in practice does not try to value external benefits. One of the book’s examples about habitats and how to think about the trade-offs compares great crested newts and nightingales. Both are protected species, but nightingales’ habitats are much harder to recreate elsewhere, arguing for a higher barrier to developing the kinds of woodland where they live. I can’t resist recounting an anecdote about newts. If you visit construction sites, as I sometimes have, there will often be a fence half a meter high around the work – to keep out the newts, which have to be carefully relocated from inside the site to outside. 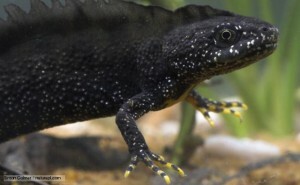 In my BBC Trust days, I was quizzing the great Sir David Attenborough about the fate of the poor great crested newts. He said (and who knows, maybe he was joking) that the newts had only got into the legislation by accident and the little creatures are not at all rare. Indeed, he had some in his suburban garden. If you were a newt, isn’t that the best garden you could pick as your home? Anyway, I’m delighted to have been appointed to the Committee. It speaks to my own pre-occupations with sustainability (The Economics of Enough) and measuring the economy (GDP: A Brief but Affectionate History). This is exciting territory in terms of the economics, and profoundly important in terms of all our futures. I’ve been sorting through the book pile and have started reading Hugh Pym’s Inside the Banking Crisis: The Untold Story, which so far is a very vivid account of the decision-making in the Treasury and Bank of England. It’s intriguing to get his more rounded perspective, having heard through my own contacts just a few strands of the story. I’m also taken by the look of The Bubble Economy: Is Sustainable Growth Possible? by Robert Ayers, an INSEAD-based economist and physicist. It’s partly about energy and decarbonisation, and partly about financial bubbles and sustainability too, which is intriguing because (apart from my own interest in the links in The Economics of Enough) relatively few people see the different aspects of unsustainability as related to each other. The link, as far as I can tell from just paging through, is discouraging financial speculation in favour of the financing of investment in green technologies that will generate real returns. Standard modern economics notoriously ignores energy use and has been criticised for this since at least Nicholas Georgescu-Roegen wrote The Entropy Law and the Economic Process – an almost unreadable tome, so it’s no surprise it had so little impact. What’s odder is that standard economics ignores resources in general and land in particular, despite its prominence in classical economics. Landlords were villains in all the classical versions, according to Thomas Sowell’s On Classical Economics. In Ricardo, as in Piketty, landlords were “the passive beneficiaries of progress,” as the share of rental income in national income would inexorably rise. I’m not sure why the postwar mainstream dropped land from economic models – was it really because they could only do the algebra with two factor-models? Whatever the explanation, there’s no excuse for omitting resources from thinking about the economy, alongside labour and capital. And what do we think about the race against the machines when we need to think about energy consumption too? Is a robot economy a sustainable one? John Naughton’s column in today’s Observer about governments’ online spying sent me to Cory Doctorow’s essay of a few days ago about the parallels between a secure internet and public health. Both are worth a read. They set me thinking about the meaning of sustainability. My last book, The Economics of Enough, was about sustainability defined broadly to include not only environmental issues but also economic assets including human capital and infrastructure and social sustainability (hence inequality). All matter for the fundamental question of whether or not future generations will be able to have at least as high a standard of living as we do. Many people in the developed economies think the answer is ‘no’ when they look at what’s happening to house prices, pensions, student debt and a lacklustre economy with no real wage growth. It’s hard to separate the effects of cycle and trend & I think it’s too soon to lose hope, but the idea of ‘secular stagnation’ is around. Anyway, I thought about the question of changes in assets of all kinds as an indicator of sustainability. The two columns made me realize I didn’t think enough about risk questions in that book. No doubt this features prominently in the environmental literature. But when you think about various examples – the effect of floods or unrest in Thailand or the Japanese earthquake on auto industry supply chains, the vulnerability of the UK’s west country to one train line right next to the coast being washed away in storms, or indeed the extraordinary vulnerability of the whole of the global economy to malign activities affecting the internet – the sustainability of the economy is obviously in question. I find the Doctorow/Naughton parallel with public health persuasive. How would we react if we learned that the government was dealing with the threat of bird flu by secretly developing particularly virulent strains of the virus to use on – well, on whom exactly? 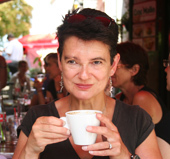 – rather than working on a vaccine. Ian Goldin’s new book, The Butterfly Defect, out in May, looks at exactly this kind of question. One to look out for. He’s talking about it in Oxford soon.